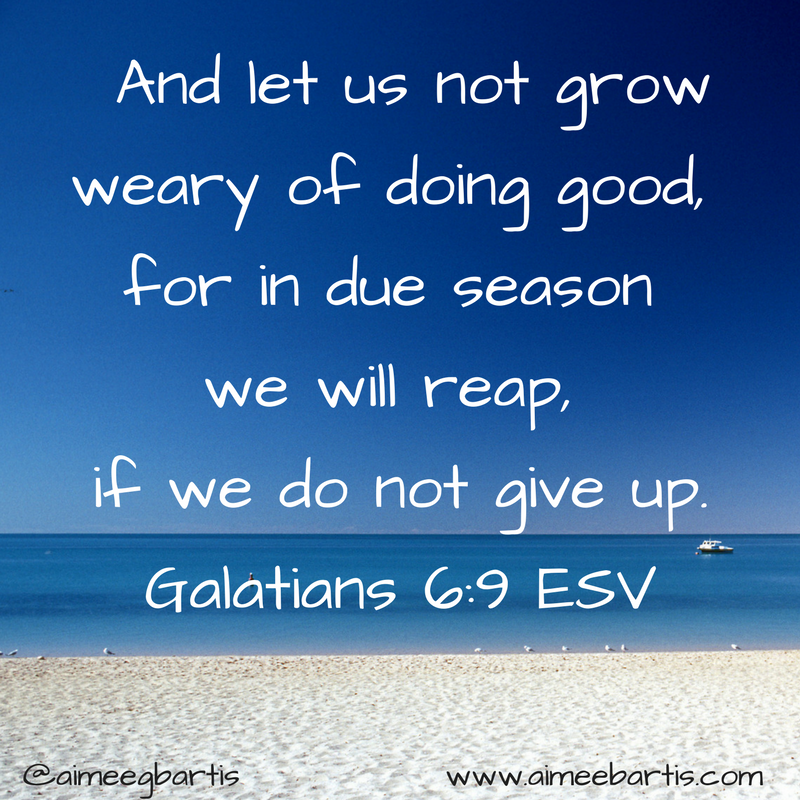 This week, I've been sharing about feeling weary. Yesterday I shared a verse and some resources for helping bring us back to Jesus. As I've mentioned for me, feeling weary means feeling overwhelmed and wanting to retreat to my bed. Sometimes I'm overwhelmed when our schedule is too much. Too many places to be, too many chores left undone. Other times, I get overwhelmed when I feel like what I'm doing doesn't matter. I will do most anything for someone who I feels values me. But when I feel like people are taking advantage of me, it's hard for me. I question, "Why am I running myself ragged for no good reason. No one cares but me." I'm not great at confronting people appropriately to ask them stop treating me that way or tell them how I'm feeling. So, I internalize it and it piles on my stress. I'm also a law and order kinda girl. I like to follow the rules, I like it when other people follow the rules. I want people who don't follow the rules to be held accountable. I don't necessarily want people harshly punished. I'm not perfect and I don't expect others to be. I just want people to own their mistakes and be honest about it. It's what I try to do and I can't always understand when people don't. When one of these things is out of balance AND we have a crazy schedule, it really does a number on me. I know that as a Christian, I find my identity in Christ. I should be deeply fulfilled by my relationship with Him and not by what others think of me. I should forgive others as Christ forgive me. I know all these things. But I'm not perfect. I'm still growing in Christ. I'm just trying to be honest here about what overwhelms and stresses me. When I get to this low place, I try to remember this verse. I have this verse taped to my laptop. Under it I've written: "my job is giving not the receiving". It helps me remember my purpose. I'm supposed to do good. 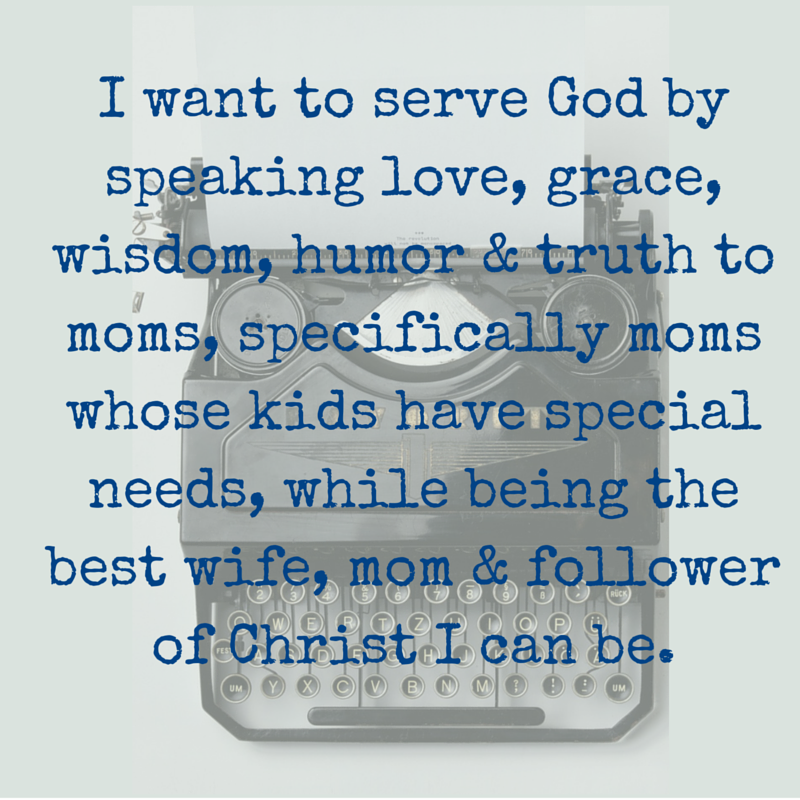 I'm supposed to do what God has called me to do. It helps me refocus on where to find my value - in Christ. 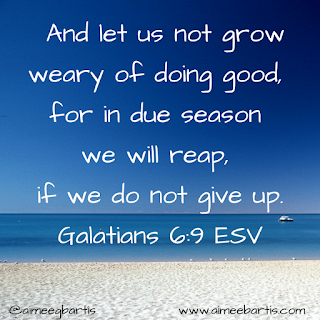 When I feel weary and that I want to run away, I am reminded to not give up. I remember that I'm actually doing things for Christ through doing them for his people. I am trying to be in charge instead of letting God be God.